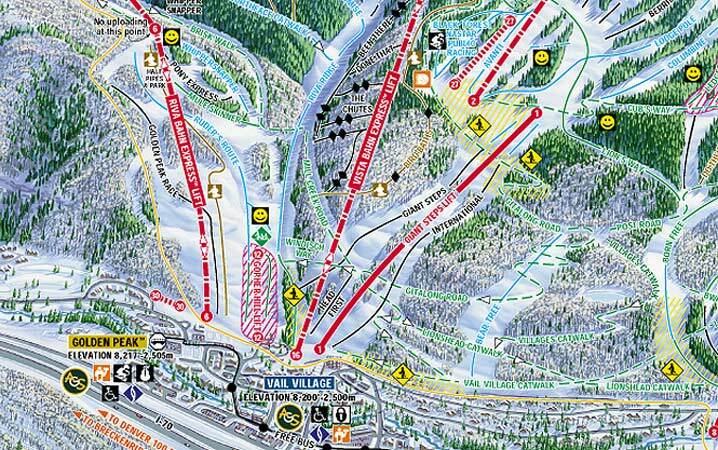 Vail is so vast it is difficult to comprehend just how big it is unless you have spent time there. It is often listed in the top 10 places to ski in the world, having the biggest single ski mountain in the United States, stretching some 7 miles in total from East to West. Major investment has meant it has a fantastic range of lifts and runs to suit all abilities. The resort is lively and has the feel of a European resort, with dining and shopping to suit all tastes, this is what attracts many celebrities. Due to the resorts accessibility it can suffer from crowds and can be pricey on both the mountain and in the resort. Beginners get to start at the top of the mountain at Eagle’s nest, the nursery slopes high up and lower down the mountain offer excellent conditions but are prone to overcrowding. Intermediates can cover the whole area including the back basins which are better for advanced skiers as there are easier runs for them to choose from in the same areas. For seasoned skiers the choices are endless as over half of Vail’s ski area is said to be advanced, some people consider this be a little over classified. Sticking to the back bowls and the Blue Sky Basin will offer enough challenging skiing to keep you busy throughout your stay. For snowboarders there is an award winning superpipe and terrain park, serviced by a lift system that makes it easy to avoid any flat areas. The slopes are kept in pristine condition due to the constant attention they receive throughout the year. Vail is known for its lively après ski scene, with the Red Lion being the place to be seen after a hard day on the slopes, with live music nightly you need to get there early to get a good spot. There are more than 100 bars and restaurants to choose from, ranging from simple pizzas to gourmet dining. There are plentiful activities to fill your time away from the slopes including galleries, spa services, sleigh rides and ice skating. If you are looking to party late into the night, Vail offers street concerts on a weekly basis and clubs for dancing or listening to live music are plentiful.